Although CySEC recently "froze" the licenses of 4 binary option firms, sources close to the Binary Bears have revealed information that after being under-financed and under-resourced, CySEC, the "regulator" may be throwing in the towel and giving up regulating both FX and BO. Is it true? And what does this mean for BO and FX? Is Google to blame for the state of BO? Zio and Kay debate it out. I have heard that they only give up on binary options ? But again....i use a "only binary" broker that is regulated by CySec, and they are still going strong ! There are still regulated BO brokers who offer services to BO traders and monitored by CySec. 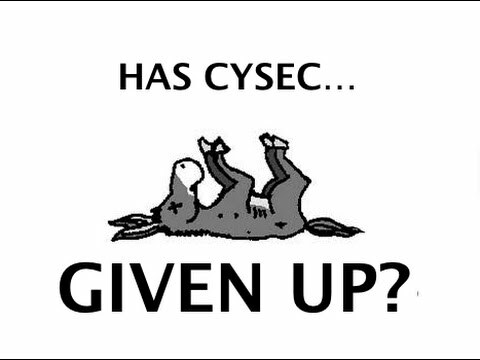 Not sure if CySec can just "give up", it's their damn job and they are getting paid millions of Euros to regulate the financial market.